Looking for a reliable company to repair or replace your copper roof? Fortunately, you’ve found the premier copper roofing contractor in the Baltimore area – Roland Slate Service Company. Since our founding in 1989, we have made it our mission to provide the best roof repair and replacement services to homeowners and businesses in the area. Why Choose Roland Slate Service Company as Your Copper Roofing Contractor? 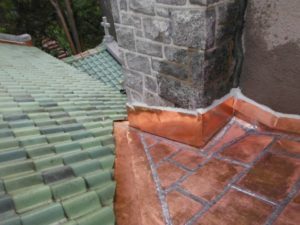 Roland Slate Service Company specializes in restoring the classic charm of historic buildings as well as adding unique, quaint charm to newer homes by installing copper roofing, which has a very distinct, old-world aesthetic. With your creative vision and our expertise, the sky is truly the limit for what we can accomplish. Our installers have decades of combined experience and have received our proprietary training to ensure that they have all the necessary skills to flawlessly install our products. Plus, they are all hourly employees, not subcontractors, which allows us to maintain a tight grip on quality control and ensure that every job is completed up to our high standards of excellence. You’ll be glad to know that we offer both material and labor warranties on all of our roofing products. You will be hard-pressed to find a competing copper roofing contractor in the area who offers that same peace of mind. 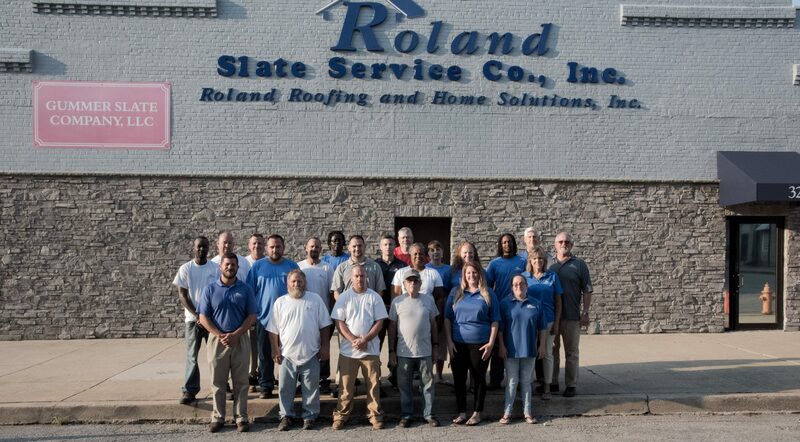 To learn more about what makes us the copper roofing contractor of choice in the Baltimore area, contact Roland Slate Service Company today.